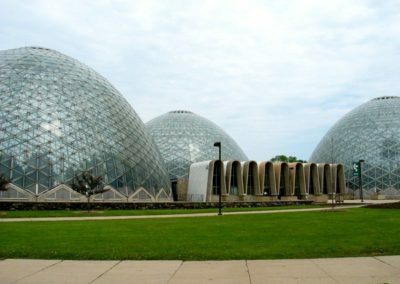 The Mitchell Park Horticultural Conservatory in Milwaukee, Wisconsin provides residents and their visitors a horticultural showcase in three large beehive-shaped glass domes, 140 feet in diameter at the base and 85 feet high, offering 15,000 square feet of growing space for plant display. Each dome has a distinct climate and exhibits plants in a naturalistic setting. 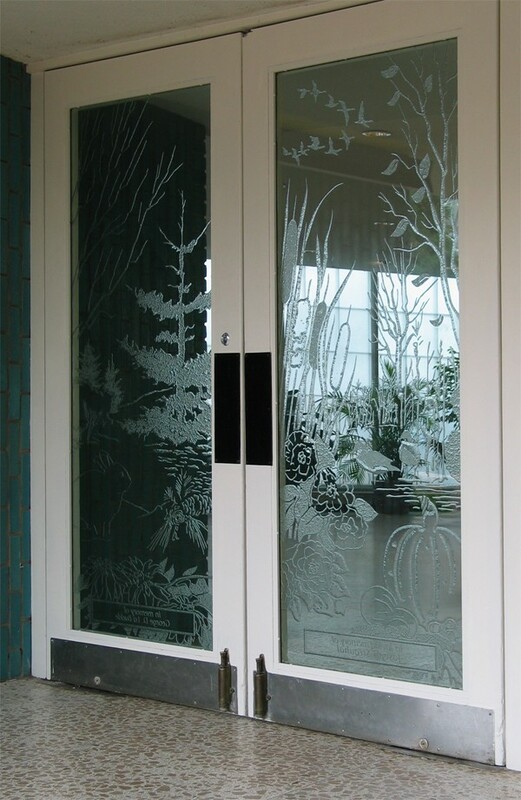 Conrad Schmitt Studios was asked to design 30 etched doors for the entry and exit ways connecting the three domes. 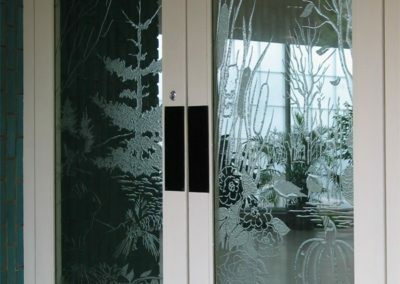 This project is not only beautiful, but also quite practical as the etched doors create a visual barrier and safely make people aware of the glass doors in the crowded entryways. 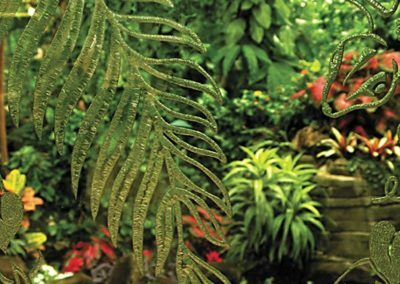 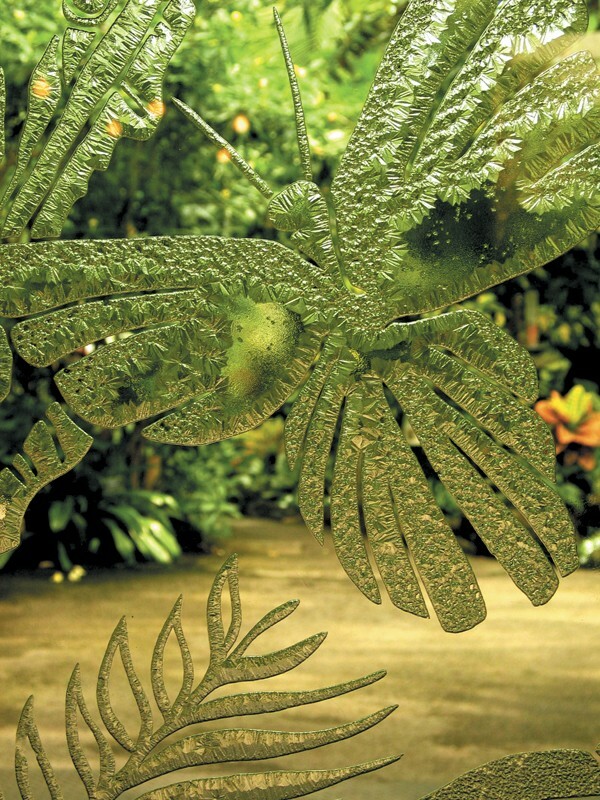 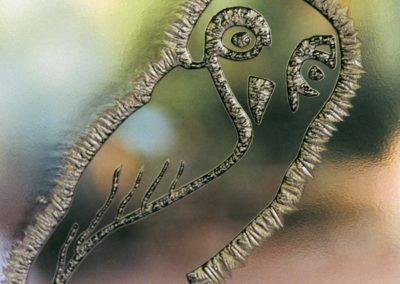 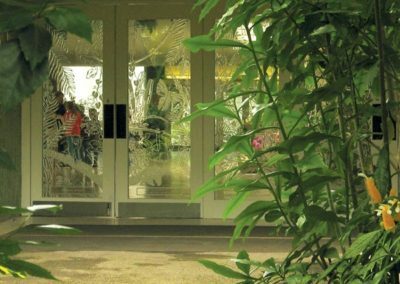 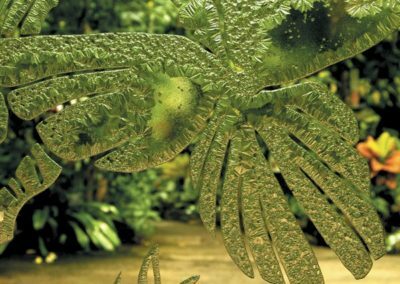 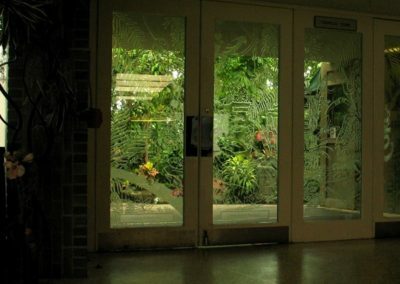 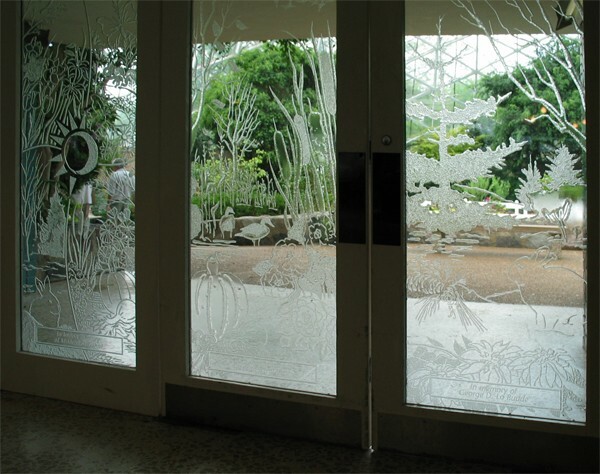 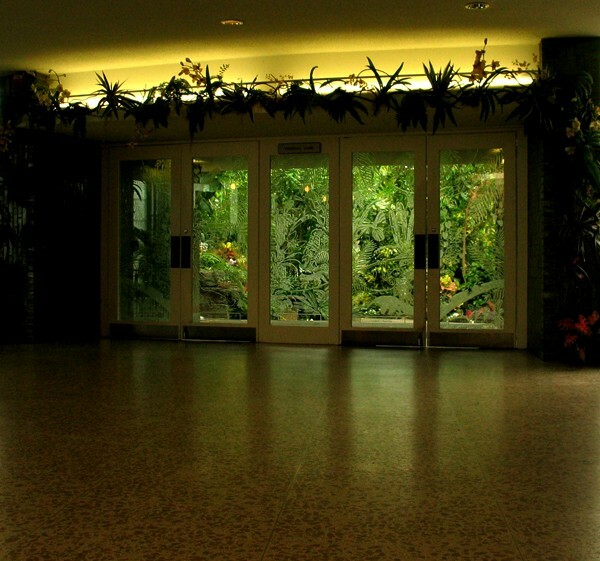 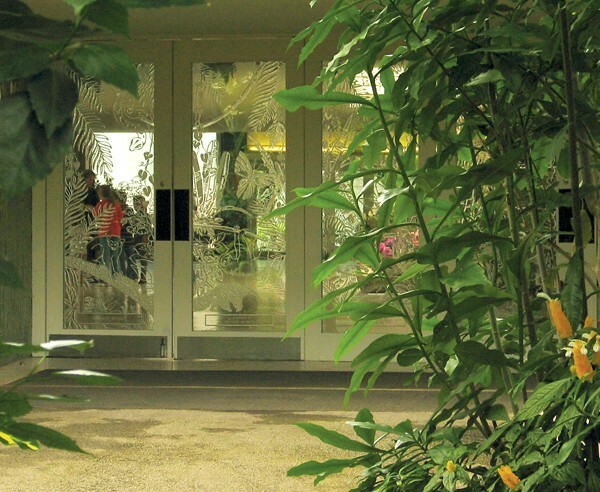 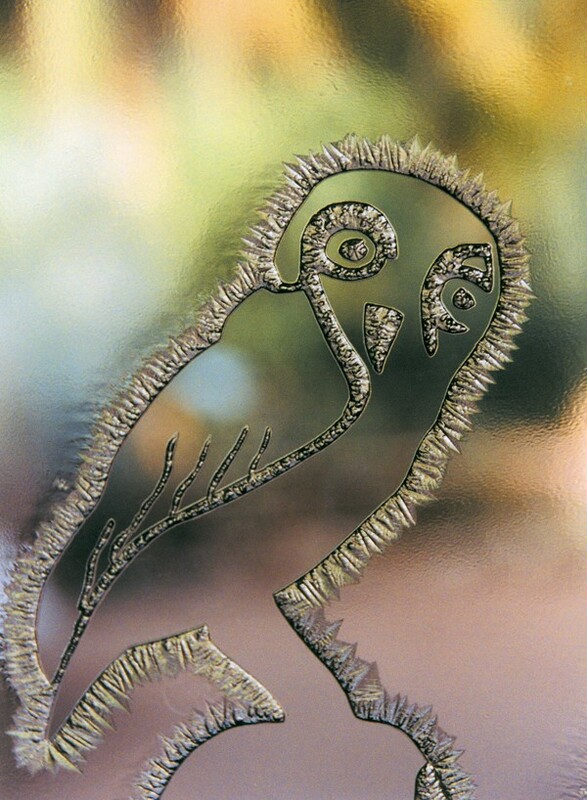 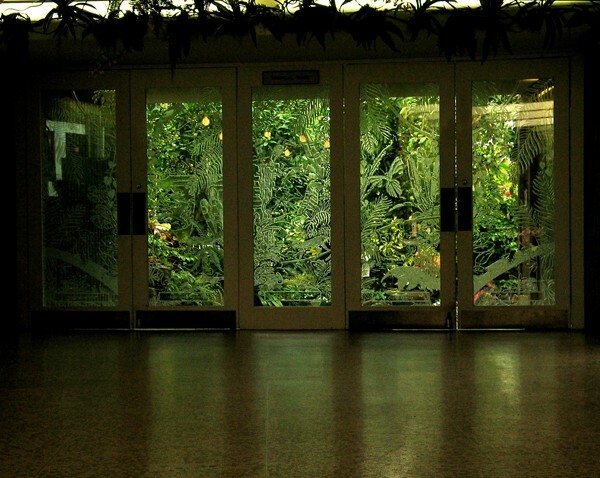 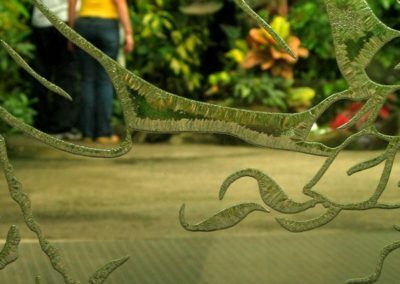 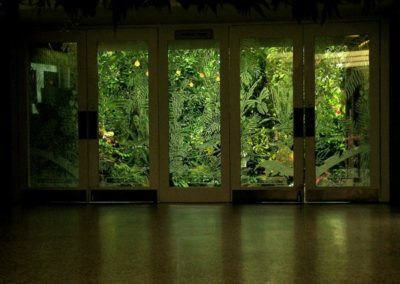 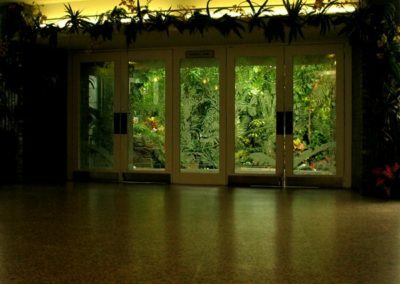 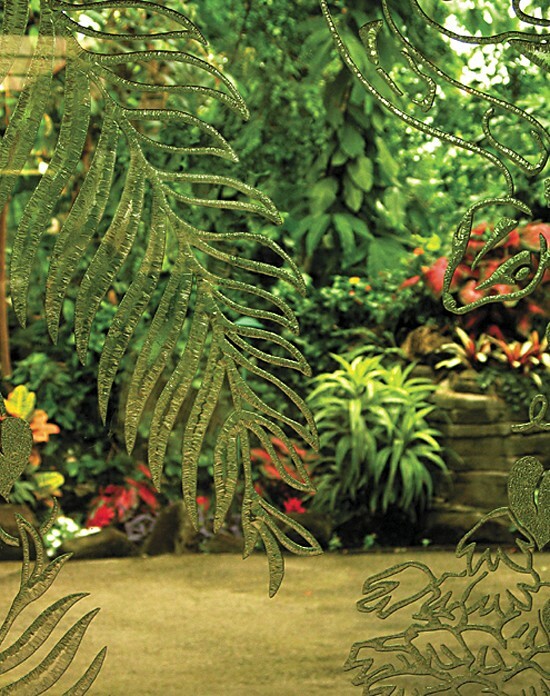 These etched glass door panels in the entrances to the Tropical, Arid, and Floral Show domes are enriched with designs that reveal the ecology of the dome they represent. 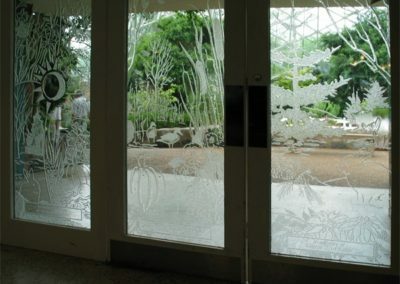 Plants and animals depicted on these panels are used by the interpretive educators from the domes as they present information to more than 15,000 children each year. 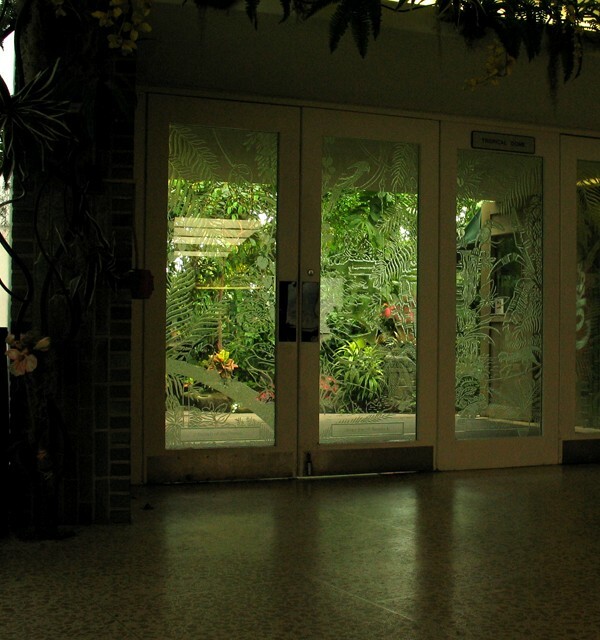 The doors were utilized in a sold-out fundraising campaign, with each door serving as a tribute to the donor with an inscription along the bottom.